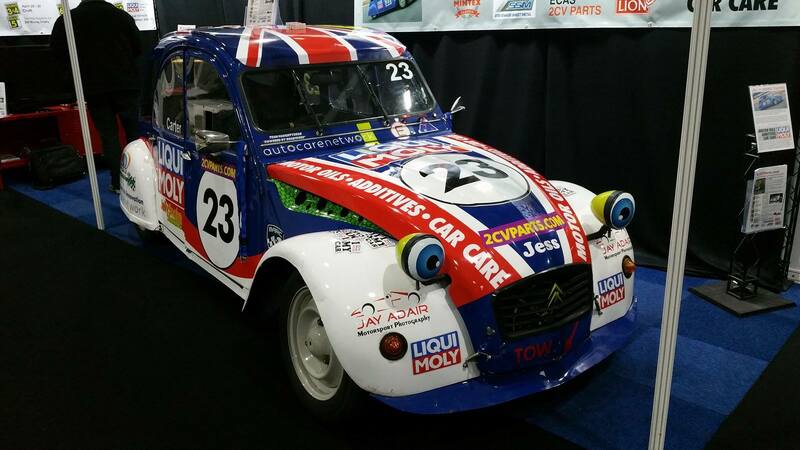 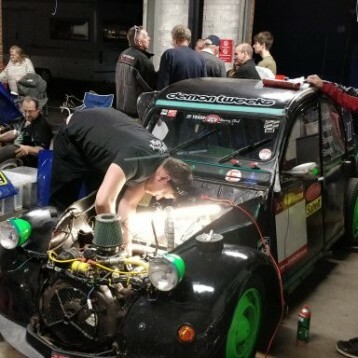 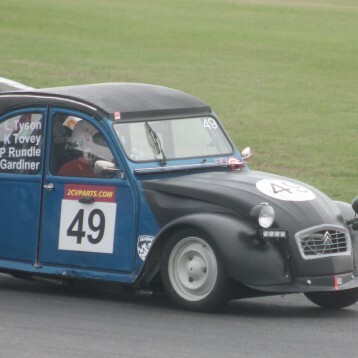 The RaceRetro show is the place to showcase classic and historic motorsport in the UK, and the 2CV Racing Club Ltd were keen to showcase our racing championship. 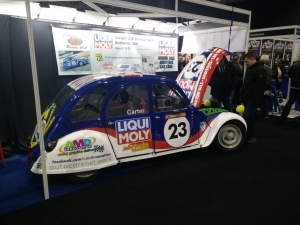 Over the three days of the show, the stand received a lot of interest from passers-by, with a TV playing race footage, handouts, freebies, a banner and of course Ash Carter’s beautifully prepared car. 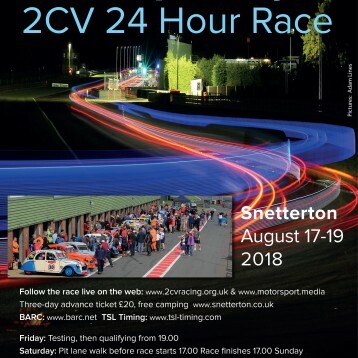 A number of people put their names down for more information regarding competing at the 24hr race and the sprint races alike. 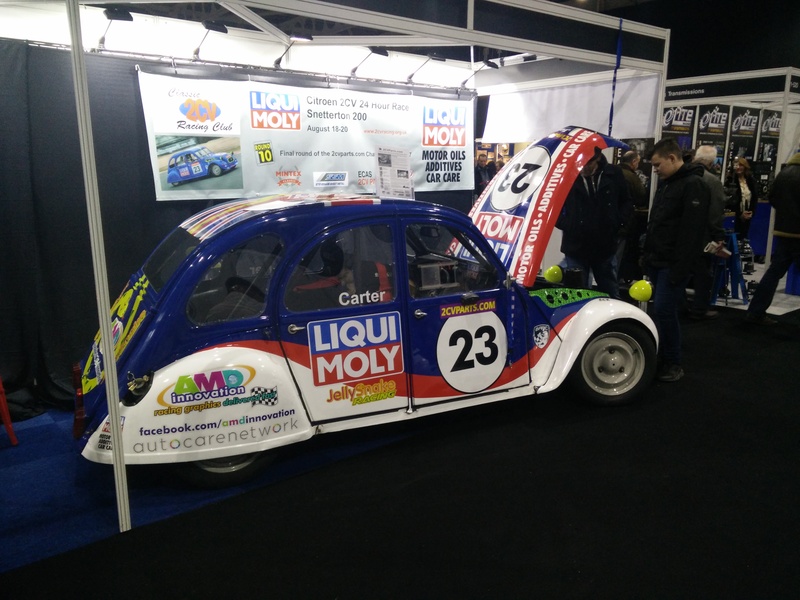 Thanks to all those who helped with creating and running the stand, and all those who came and talked to us!